currently under construction at 5550 Admiral Way, Delta. Fairwinds has a total of 147 units. Sizes start at 1440 square feet. Introducing Fairwinds, the newest collection of townhomes at Polygon’s master-planned community of Hampton Cove. Discover a seaside-inspired community of 147 townhomes nestled between a golf course and a yacht club in the picturesque town of Ladner. These three and four bedroom homes are laid out with efficiency and style, and feature distinct seaside architecture, spacious modern kitchens, spa-inspired bathrooms, and the space needed for growing families and entertaining guests. Walking and biking trails surround the neighbourhood and a beautiful new riverside linear park will give residents a natural place to explore their own backyard. School-aged children are just minutes from Neilson Grove Elementary School. Golfers can stroll over to the neighbouring golf course, the Links at Hampton Cove. And, everyone will enjoy the renowned Summer Farmer’s Market in downtown Ladner. Plus, it’s just a short 7 minute drive to Richmond and 15 minutes to Vancouver. Hampton Cove residents will also enjoy exclusive access to The Hampton Club, a private clubhouse featuring over 12,000 square feet of resort-style amenities. Located at the heart of the community, The Hampton Club’s features include an outdoor pool and spa, barbecue terrace, fully-equipped fitness studio, gymnasium, guest suites for out-of-town visitors, and an entertaining space ideal for large family gatherings. A place to play, relax and socialize. 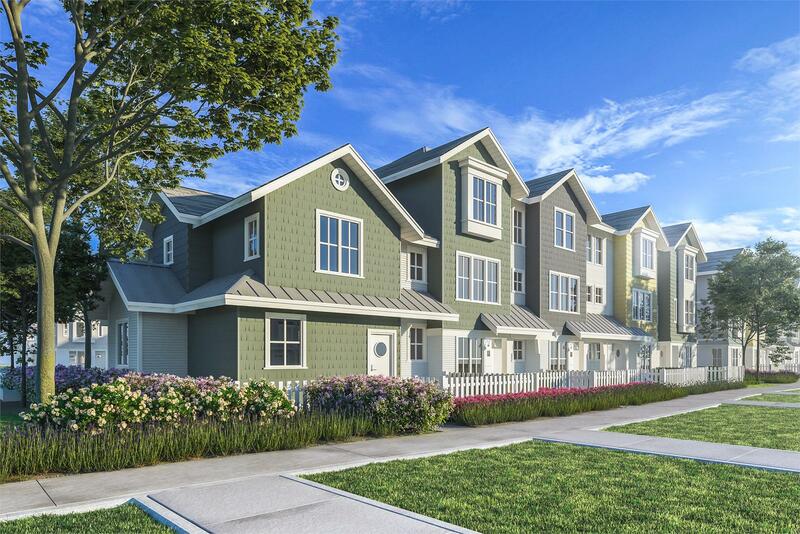 - A striking collection of townhomes showcasing distinct seaside architecture at Hampton Cove, a waterfront master-planned community nestled between a yacht club and a golf course. - Membership to The Hampton Club, featuring over 12,000 square feet of resort-style amenities. - Step inside the entry foyer distinguished by warm laminate wood flooring that continues throughout the main living areas. - In the kitchen: Experience the everyday luxury of polished engineered stone countertops and a full-height imported ceramic tile backsplash. Preparation and cleanup are a snap with double stainless steel sinks and a Grohe single-lever low-flow faucet with pullout vegetable spray with flex line. Sleek stainless steel appliances coordinate beautifully. built-in bench, dual porcelain sinks, dual-flush toilet, large vanity mirror, and elegant vanity lighting. Please visit our website or our sales centre for more information. Your inquiry will be delivered to the developer / builder of Fairwinds, who will send you more information about this development.